“Ex Machina” is without a doubt one of my favorite science fiction films ever. It’s visceral, raw, and unashamed to analyze itself incessantly. Every line is written with purpose, every scene drips with meaning, and the movie keeps a healthy air of uncertainty. Director Alex Garland’s pretentious style is deliberate and direct in this Turing Test driven drama, making it an excellent film to both watch and scrutinize. While Garland’s newest film, “Annihilation,” may not be as meticulous as “Ex Machina,” that doesn’t mean it isn’t without its merits and thoughtfulness. After her husband mysteriously returns after being absent for twelve months, Lena (Natalie Portman, “Jackie”) finds herself in the custody of the government watching the man she loves quickly die. In attempts to stop his regression, she and a team of scientists enter a restricted area known as The Shimmer, a section of land surrounded by a mysterious wall of light. Upon entering, the group finds a force accelerating genetic mutations in the plant and animal life, and, more surprising, splicing the genes of different species, creating a wide variety of horrors to avoid while desperately searching for answers. “Annihilation” plays out like a dream, not only in representing the characters’ own misunderstanding of the events taking place before their eyes, but in its visuals. There’s no denying that there’s an overbearing sense of dread, but also mysticism, that blankets The Shimmer and its occupants. The drawback is modern film techniques that resort to an overabundance of CGI to demonstrate the oddities. When the special effects look good, they are striking and terrifying. There’s a particularly horrifying moment involving a partially decomposed bear that screams like a human that is undoubtedly the highlight of film. It’s incredible how Garland has managed to make a horror movie that is as paralyzingly shocking as it is beautiful. It’s rare to see these two adjectives define a horror film, but “Annihilation” pulled it off effortlessly. While Portman, as always, is fantastic and delivers a worthy performance of the source material, her companions lack the same passion she displays. This is because the characters themselves aren’t written very well: they lack complexity, depth and true personality. The team members come off as archetypes, rather than humans with drive. It makes the inevitable series of deaths almost meaningless, since building a connection with them is far too difficult. With any cerebral science fiction film that plays on the expectations of the audience, there will most likely going be an ending that is odd, thought provoking and impactful. 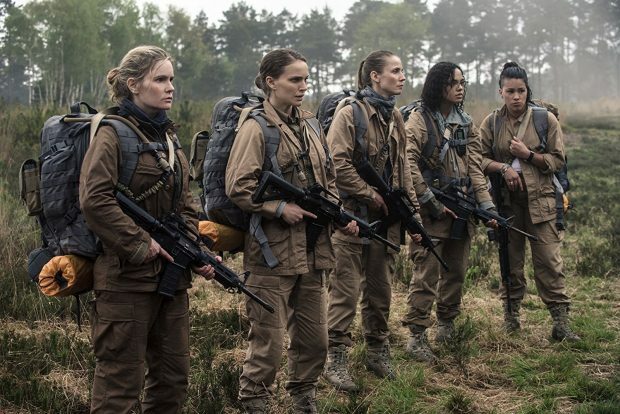 “Annihilation” is no different, but that doesn’t necessarily mean it’s has a good conclusion. This is due to, once again, the poor CGI. It’s frustrating to see such a captivating third act spoiled by bad visuals. Every time I think back to analyze the ending, I keep going back to the fact that the last moments just look awful. Besides that, it’s great, but letting go of my grievance is impossible. All and all, “Annihilation” is not for everyone. Most will find its intrusiveness off-putting and there’s no doubt that the film gets weird, especially at the end. But I still thoroughly enjoyed what was given, especially when the movie looked half decent. 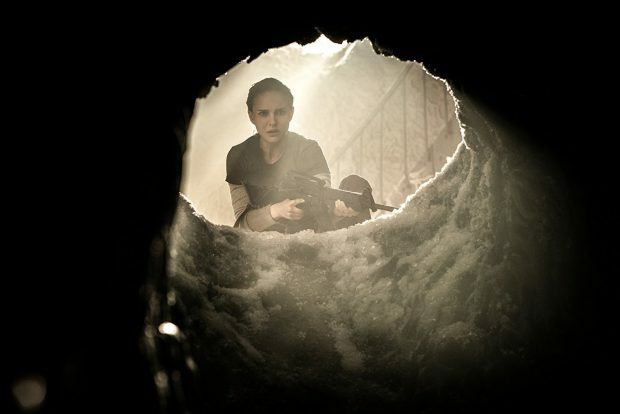 “Annihilation” has all it needs to be worthy of some post-viewing stewing even if it lacks the impact “Ex Machina” left. If you’re in the mood for something weird, you should certainly check it out.